The footings were dug after our orchard season work had ended. We purchased our property several years ago. The house was a small cottage used for summers. We were so excited about growing and gardening. Soon, we did not want to leave the orchard when the apple season ended in the fall. We had too many things we wanted to accomplish. After our first successful harvests, we realized it was time to live on our land year round. I drew the house plans after consultation with Dan. Within two days we had the machinery, on site, digging for footings. We were not deluded. We saw a long journey. We are the workers and we know it won’t happen unless we keep trying. 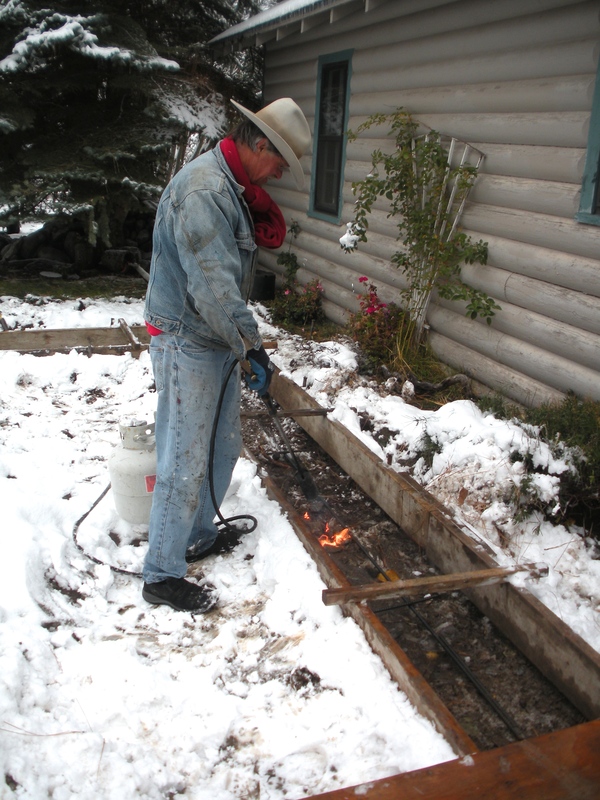 Our footings were dug, and forms were in place, during our first snowfalls.